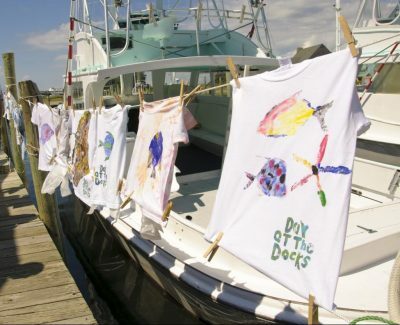 HATTERAS – The annual Day at the Docks, a celebration of Hatteras Island Watermen, is a chance for those who live and work here to share their traditions with visitors and illustrate how the fishing industry works, from using the equipment to preparing the fresh catch. The free, two-day event set for Friday and Saturday will feature seafood cooking demonstrations, fishing boats and gear, fishing industry skills contests and competitions, live music, the Blessing of the Fleet and activities for children. The annual celebration began in 2003 as a one-day event to celebrate the “Spirit of Hatteras” after the village, anchored by commercial and charter fishermen, recovered from Hurricane Isabel. It continues to be a confirmation of the strength of community, heritage and living traditions of the waterman, according to the press release. Again this year at the Day at the Docks are the Smith Island ladies, a part of the Smith Island Crabmeat Co-op. Smith Island is offshore in Maryland’s Chesapeake Bay and was settled a half-dozen generations ago. 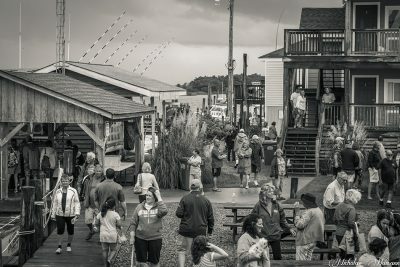 During Day at the Docks, the ladies share the similarities between their fishing community and that of the Outer Banks. Karen Willis Amspacher, executive director of the Core Sound Waterfowl Museum and Heritage Center on Harkers Island, coordinated the Smith Island ladies joining Day at the Docks. The festivities begin at 1 p.m. Friday with the Hurricane Awareness Town Hall in the Hatteras Village Community Building, presented by the National Weather Service Forecast Office Newport/Morehead City. 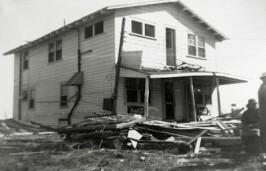 Information will be provided to better help prepare for the natural disasters. The premier of “Talk of the Villages: Reflections on Fishing as a Living,” a documentary by award-winning photographer Daniel Pullen and an interactive conversation with local, commercial fishermen will be at 6:30 p.m. Friday, also in the Hatteras Village Community Building. This free event also will feature Pullen’s new, traveling art show. 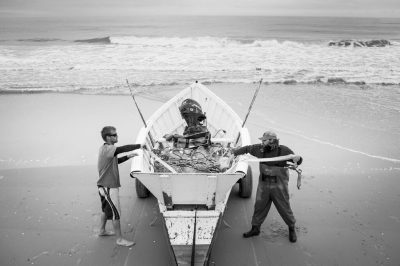 Pullen began documenting the work and culture of Hatteras commercial fishermen in 2011. Start the day at the Fishy 5k or Dock Dash fun run through historic Hatteras Village. The race begins at 8 a.m. at Hatteras United Methodist Church and will loop through historic Hatteras Village, ending back at the church. Registration may be completed online. At 11 a.m. Saturday, the village will be overflowing with food and activities for fishing lovers of all ages, plus there will be storytellers musicians, and singers on the mainstage all day. Fishermen and their families are encouraged to take advantage of free health screenings provided by the N.C. Agromedicine Institute. The screenings include blood pressure check, blood glucose, pulmonary function and hearing. 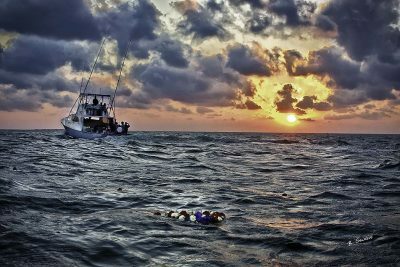 Surveys will be taken and the information gathered will be used to create an industry-specific health and safety program for commercial fishermen similar to that provided to farmers. This service will be offered in the education tent from 11 a.m. to 3 p.m. Saturday. 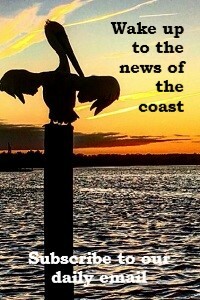 The Coastal Federation will have a special field program, as well, in celebration of National Estuaries Week. Tours along Durant’s Point, just across the harbor from Oden’s Dock will begin at 11 a.m., noon, 1 p.m. and 2 p.m. to explore the living shoreline, which functions to control erosion while creating estuarine habitat. The shoreline tours are free and no registration required. The trips will run first come, first served. At the Outer Banks Catch table, owner of Risky Business Seafood Steve Bailey will have his clam chowder and Robert Fritchey, author of “Wetland Riders” and “Let the Good Times Roll: Louisiana Cashes in Its Chips with the 1995 Net Ban,” will sign his books at various times throughout the day. Sandy Semans Ross, Outer Banks Catch chairman, said, “Outer Banks Catch’s mission is to support the commercial fishing industry and fishing communities through education and through strong advocacy for the need for habitat and water quality protection to help ensure robust fisheries. This year’s competitions and demonstrations will include the concrete marlin contest, dunking booth and techniques in net fishing and net hanging and seafood cooking competitions. During the concrete marlin contest, professional captains and mates will compete against each other and time as they “hook” and “gaff” a concrete cylinder that replicates the weight of a fighting marlin. A new division, the Concrete Sailfish, has been added for younger fishermen. For the little anglers, register at 1:30 p.m. for the Kid’s Fishing Tournament that begins at 2 p.m. and join in the crab races, make a fish-print T-shirt and enjoy one of the many tours that are family friendly. Students of Cape Hatteras High School culinary teacher Evan Ferguson will kick off a wild-caught, local shrimp extravaganza at 1:30 p.m. before a signature event of Day at the Docks, the Seafood Throwdown at 2 p.m. The format for this year’s throwdown is different than in year’s past. Instead of a mystery seafood announced when the competition starts, shrimp has been named in advance and guest chefs will make their own version of shrimp and grits. North Carolina chefs, food writers and visitors will judge the plates of the just-landed local shrimp dishes. “Chef Tom Armstrong of Vinnie’s Steakhouse in Raleigh and Chef Jay Pierce, author of the cookbook ‘Shrimp,’ and executive chef at Travelend Farmer in Greensboro will be the visiting guest chefs. Both are bringing their appreciation of locally caught seafood to Hatteras for this light-hearted competition that is educational, fun and delicious. Also new this year, the chefs are making samples for the audience to taste,” according the press release. Commercial and charter boat captains will be scattered along the docks showing their boats and demonstrating their equipment and fishing techniques, such as pound net fishing. Plus, one of the fishing vessels from the historic Albatross Fleet will provide harbor tours throughout the day. On the waterfront near Willis’ Boat landing, will be fish-cleaning demonstrations where a skilled fish cleaner will spend the day demonstrating the proper techniques to clean and filet a fish. The Blessing of the Fleet at Hatteras Harbor Marina, when a historic shad boat will place a wreath on the water to honor the memory of watermen who have, in Alfred, Lord Tennyson’s words, “crossed the bar” for their final time, is one of the more somber parts of the day and will take place Saturday. 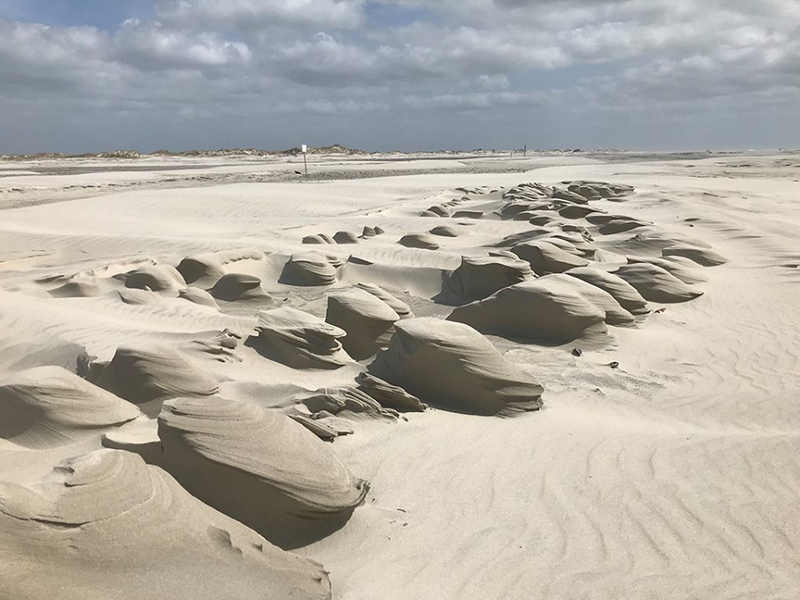 The commercial and charter fishing fleet based in Hatteras village is the core that unites the seven Hatteras Island villages, according to the event website. Most every island family has current or historic ties to the industry and its supporting businesses and the island communities gather for the Blessing of the Fleet once a year in solemn prayer for their safety at sea and their successful catches.